"A Fate cannot be changed" What does that phrase mean? A girl named Furukawa Himeko cannot accept something like that. Why can't she accept it? What kind of fate has been bestowed on her? Kuroi Haruka, Best friend of Kachikawa Yuri, has been kidnapped by a Vampire by the name of Sakamoto Ren. 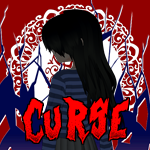 Yuri and some of her friends venture out to save Haruka, How will they fair? 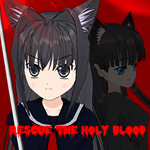 Will they be able to save Haruka, a girl who happens to be a holy blood?